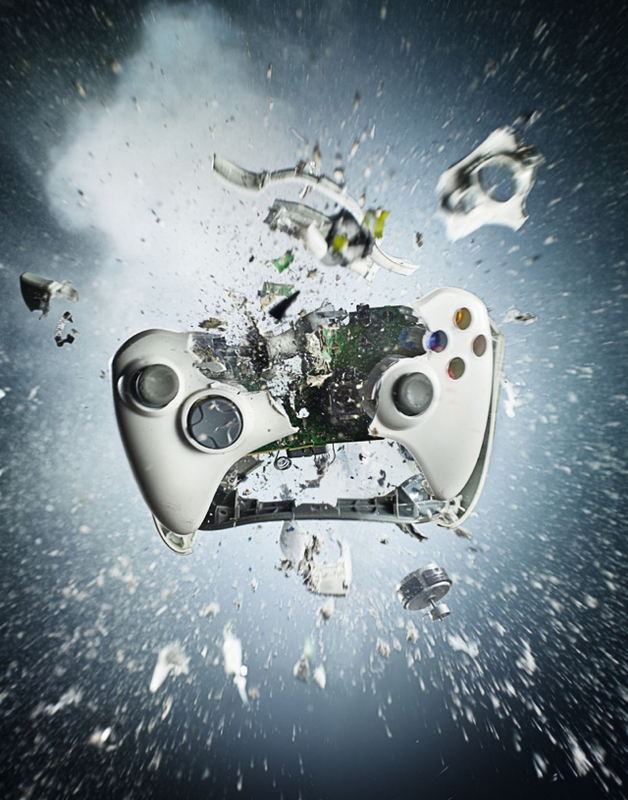 As part of a photo shoot for Fortune Magazine on the demise of console gaming, photographer Dan Saelinger shot slow motion stills and video of Xbox 360 consoles and controllers being blown up. We came up with a concept to incorporate still and video footage of exploding consoles and controllers, particularly Xbox 360?s, for the story. The shoot took place at a pyrotechnics studio in Brooklyn called J and M Special Effects. The location was great because they have a permanent NYC explosives permit as well as a pyrotechnician on staff.